Nashville is host to upwards of a dozen “escape room” challenges, sites where individuals and groups can test their wits by figuring out clues to escape from a locked room in a set period of time, often an hour. There are different themes, ranging from Nashville-oriented to prisons, even extraterrestrial jaunts. The common element is that danger looms, and the clock is ticking while players find clues, decipher them – and hopefully get out. 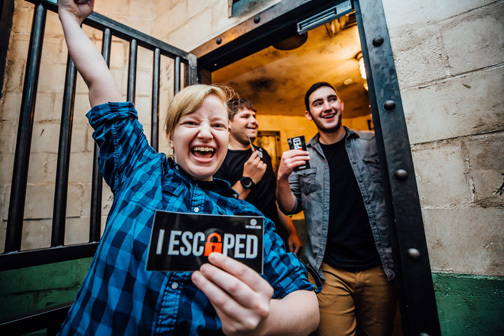 Middle Tennessee seems to be more than willing to play along, says Max Magura, marketing manager for The Escape Game, which opened in Berry Hill in 2014 and then followed with a downtown location in 2015. The idea of escape rooms appears to have begun in old-school computer games, with physical iterations first appearing in Japan a few years ago. From there they made their way across Europe and then to the United States. Their popularity continues to rise:; According to a recent profile of the concept in the New York Times, there were 22 escape room companies in the United States in 2014, a number that has since risen to 2,000, most of which are small businesses, owned and operated by locals. One of the biggest, Mission Escape Games, reports it pulled in 140,000 visitors in 2017. At prices ranging from $25 and up per person, it can be a lucrative business if the challenges are interesting, and people keep coming, especially on repeat visits so they can enjoy each experience. In addition to The Escape Game, Nashville also has offerings from Escape Experience Nashville, located downtown, and Trapped Escape Game, with locations just south of downtown and also in Pigeon Forge. Owner Macy Brown says that tourist mecca appealed to her even though she’s based in Franklin, because it was a chance to test the concept in a market with no competition. Each of the local operations has several different escapes for the asking and share a common goal of providing as immersive an experience as possible. As for that environment, don’t look for changes too often, because it does take some time to dream up the whole package, script it and build the physical surroundings. Still, solving mysteries is an ongoing affair, so escape-room owners know that a steady stream of refreshed concepts is important. 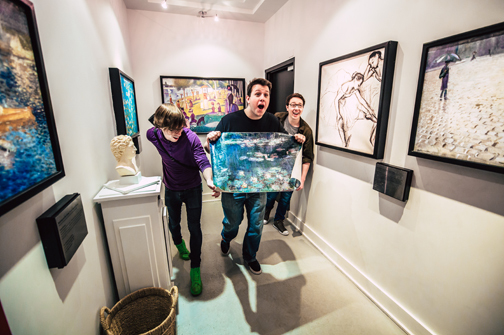 “There are companies that sell escape rooms in a box, but we don’t do that,” Magura explains. “Our concepts are thought up, created and built in house. We have a creative team whose sole purpose is to build these games after a smaller group comes up with the idea and the game play. Brown’s team also works up ideas from scratch, which she says is part challenge, part fun. “You can buy packages, but we wanted to put our own spin on it,” she adds. “Designing our own rooms and being creative, finding those different directions, is why you want to own your own concept in the first place.